(Marketingmagazine.com.my) – What do brand consultants do differently that makes them a clients’ preferred go-to team for all ‘Mission Critical’ business issues? Are advertising agencies in a position to reinvent themselves to be perceived amongst this consideration set? 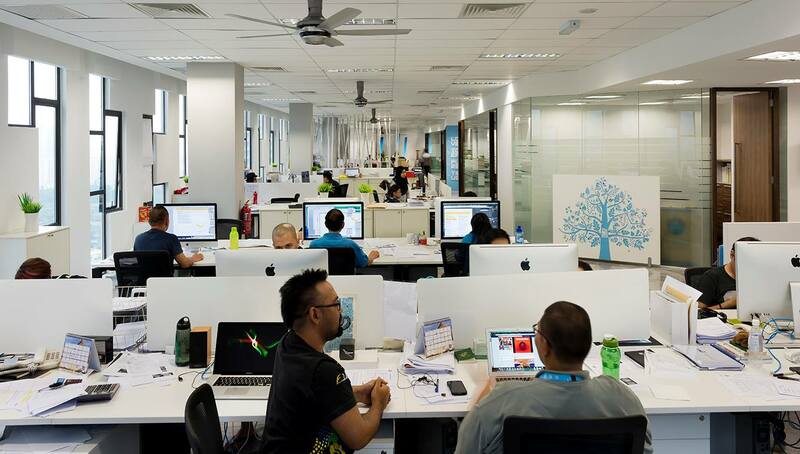 These were the two questions that served as the guiding force behind the transformation of Lowe Malaysia from being perceived as another agency that delivers ‘Creative Effectiveness’ based campaigns to a S.W.A.T team that CEOs, CMOs, and Marketing Directors would prefer to call upon to troubleshoot real business issues. “When we started our transformation journey last year, we were clear that turning a 54-year old organization on its head would take longer than a year or two. At Lowe Malaysia, we believe the transformation has just begun!” expresses Mazuin Zin, Managing Director, Lowe Malaysia. “The intent was simple – we’re building an agency brand for the business consulting era purely on ‘strategic high-level thinking that delivers real business results’ in the world of conceptual frameworks and academic metrics”, she further adds. In its first year of transformation the agency has been applauded with the prestigious ‘Brand Revitalization of the Year’ and ‘Advertising Agency of the Year’ awards at the CMO Asia Global Brand Excellence Awards 2014 held in Singapore recently. “Resultants are specialists who bridge that gap when consultants leave a client with reports and recommendations and the agency is ill-equipped to bring it to life. Our S.W.A.T team takes on the challenge from start to end alongside the client to deliver the right solution”, explains Sailesh Wadhwa, Strategy Planning Director, Lowe Malaysia. He adds, “In the past one year we have re-modeled the company to help businesses and marketers in creating effective, engagement-based marketing strategies and platforms. Taking the entire client-agency relationship beyond campaigns and tactics”. “Walking the talk, we’ve invested in hand-picking young budding creative talent from across the industry who are hungry to prove their mettle beyond mediums and campaigns. Professionals who are eager to create solutions, platforms and have the courage to move out of their comfort zones of conventional advertising”, adds Zaidi Awang, Executive Creative Director for Lowe Malaysia. Such well-executed strategy has helped Lowe create a distinct position; helping to propel its size, revenue and reputation in the very first year of transition: Doubled in size to a 60-people agency. Won prestigious business duties for Telekom Malaysia, MMU/MMC, Toyo Tires Regional Account, KLIA2 Retail, Bank Simpanan Nasional, etc. Won 33 Business Effectiveness awards at the regional Asia-Pacific level, including CMO Asia Global Excellence, Tambuli Asia- Pacific, APPIES Asia, Loyalty & Engagement Awards SEA, Marketing Events APAC, Markies, Agency of the Year Awards and Marketing Excellence Awards 2014. Maintained its position as the Top 3 Brand Consultancy companies in Malaysia for two years running. “We are confident that moving into 2015 will all be about co-creating and co-curating engagement platforms that are sustainable. As a communication solutions partner we envisage our role to collaborate with the client and other specialists in the ecosystem to drive both content and engagement marketing strategies. That’s the future we are prepping ourselves for”, adds Mazuin. Lowe will partner up with Telekom Malaysia to usher in a Broadband-enabled service revolution for homes and businesses in the country. Lowe will help Toyo Tire Japan to integrate and drive synergistic brand-building initiatives across markets of Australia, Malaysia, the Middle East and Thailand. Lowe is in collaboration with Sapura Aero to create Asia’s first homegrown, integrated private aviation corporation brand for the global market. The brand was recently launched at the biggest Business Aviation show on the planet at National Business Aviation Association (NBAA) 2014, Orlando.